This tour indulges both sides of your personality. You get your cultural fix, by visiting some of Waiheke Island’s best wineries. 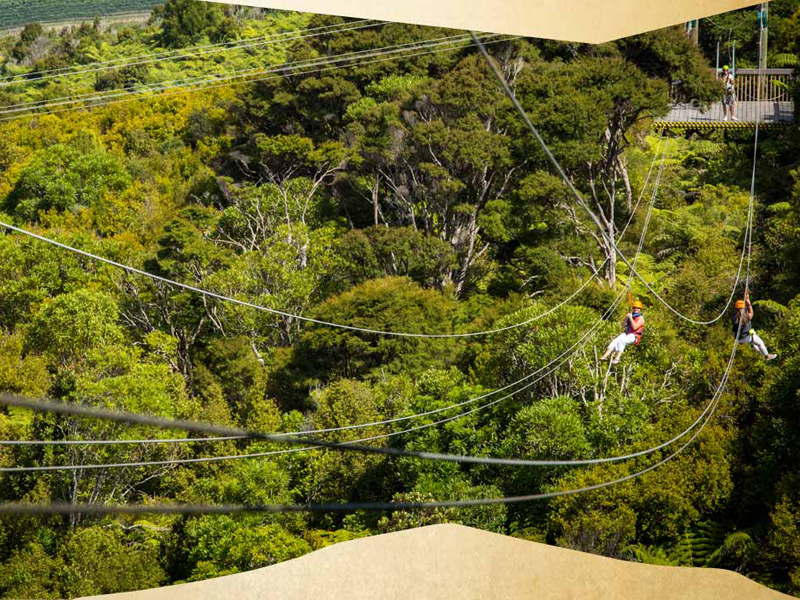 And you’ll get your adrenalin fix, zooming down three exhilarating ziplines. ‘EcoZip and Wine’ is the latest addition to our tour menu and we know it’s going to be a huge hit. 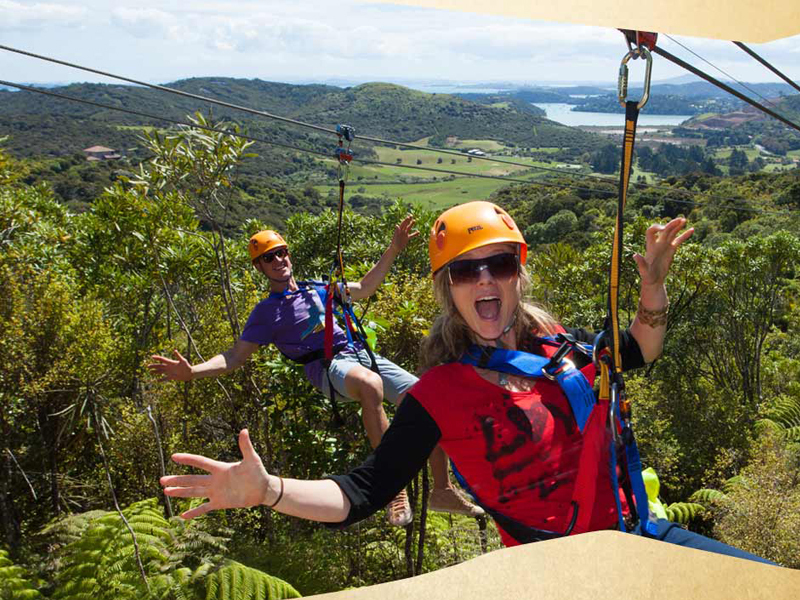 Described as ‘unbelievable fun’ and ‘the best buzz on Waiheke’, EcoZip involves three 200-metre dual flying foxes on the side of Trig Hill at Onetangi. 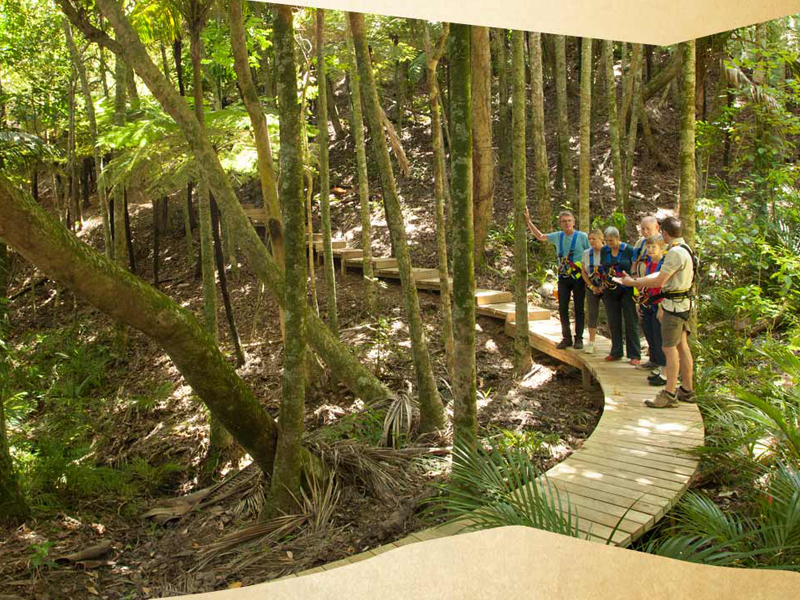 Between each flight you get to hike through regenerating native forest, where you’ll learn about the local plants and wildlife. 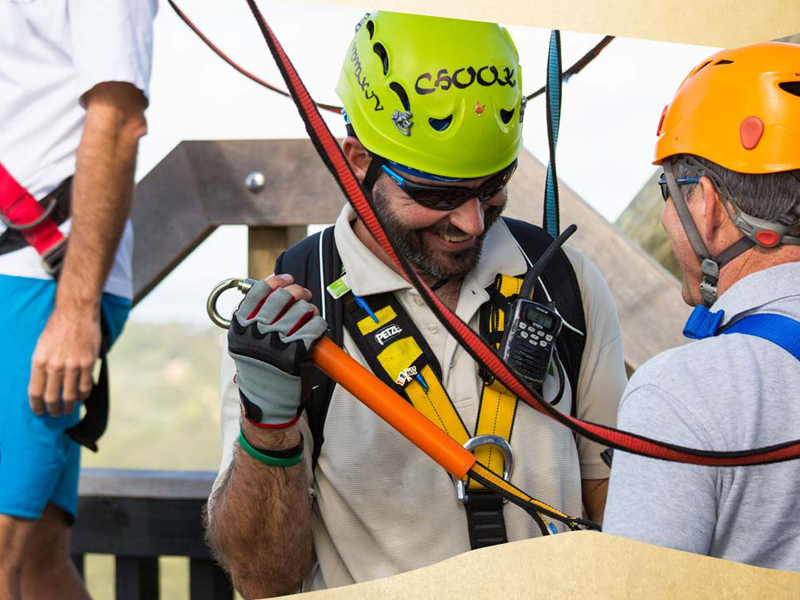 Because the ziplines carry two people at a time, you can share the exhilarating experience with a companion. It’s great having someone to yahoo with on the way down. The second half of your day involves an amazing lunch at one of the islands stunning vineyards or beachside cafe, then tasting experiences at two or three other wineries (Lunch and additional drinks are at your expense). On the road our knowledgeable guide will fill you in on Waiheke’s history and wine specialties. Waiheke is especially famous for Syrah and Bordeaux-style blends; you’ll also get to taste some brilliant aromatic whites.